Abusive power and control: Abusive power and control is the way that an abusive person gains and maintains power and control over another person, as a victim, in order to subject that person to psychological, physical, sexual, or financial abuse. The motivations of the abuser are varied, such as personal gain, personal gratification, psychological projection, devaluation, envy or just for the sake of it as the abuser may simply enjoy exercising power and control. 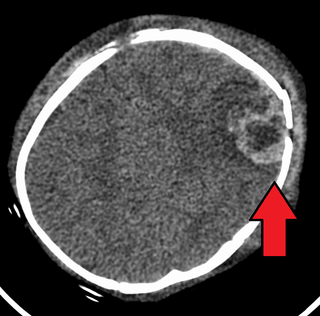 Abusive head trauma: Abusive head trauma , commonly known as shaken baby syndrome (SBS), is an injury to a child's head caused by someone else. Symptoms may range from subtle to obvious. Abusive supervision: Abusive supervision is most commonly studied in the context of the workplace, although can arise in other areas such as in the household and at school. "Abusive supervision has been investigated as an antecedent to negative subordinate workplace outcome." [weasel ] "Workplace violence has combination of situational and personal factors". 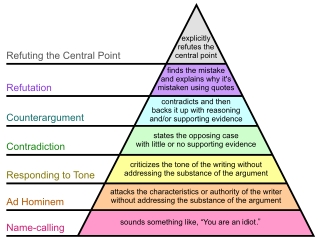 Ad hominem: Ad hominem , short for argumentum ad hominem, is a fallacious argumentative strategy whereby genuine discussion of the topic at hand is avoided by instead attacking the character, motive, or other attribute of the person making the argument, or persons associated with the argument, rather than attacking the substance of the argument itself. The terms ad mulierem and ad feminam have been used specifically when the person receiving the criticism is female. Profanity: Profanity is socially offensive language, which may also be called curse words, cuss words, swear words, crude language, coarse language, oaths, blasphemous language, vulgar language, lewd language, choice words, or expletives. Used in this sense, profanity is language that is generally considered by a culture to be strongly impolite, rude or offensive.